Step 1: Go to our Holiday Cookie Board on Pinterest and select a recipe. Step 2: Start baking! 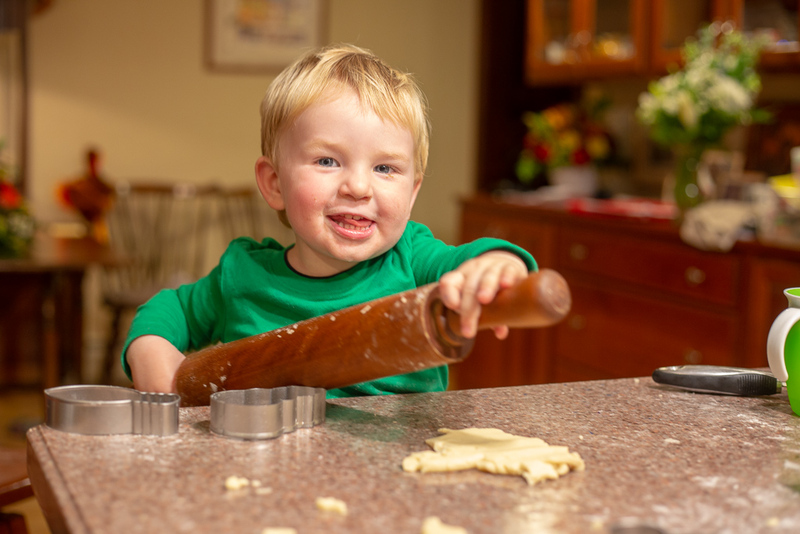 Throw on your apron and have fun making the cookie recipe you selected. Step 3: Snap a picture of your scrumptious creation! Step 4: Go back to the original cookie recipe pin on Pinterest and add a photo of your cookies under the “Tried it” section. Be sure to include #BakingCheerThisYear in your description. It’s your choice of “one and done” or to keep having fun! We’re so excited to see your cookie creations! We have recipes featured from A Cup of Jo, Snixy Kitchen, Beekman 1802, Plum Street Collective and more! 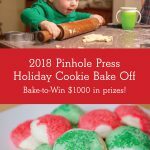 The 2018 Pinhole Press Holiday Cookie Bake Off will kick off on November 27th and end on December 23nd. The winner will be announced on December 24th, 2018. Pinhole Press does not hold the rights to any of the cookie recipes featured in this contest. This contest is not endorsed or sponsored by Pinterest.